Bulgarian throat singing meets synthesizers, meet home organ- basses, meet minimalist pop drumming and weighs in 13-eighth note. The Iranian guitar virtuoso Mahan Mirarab, top bassist Martin Berauer and scene drummer Michael Leibetseder complete the dynamic world-jazz quartet and expand the haunting pieces of Annau by profound improvisations. Guest vocals are Özlem Bulut and Anna Anderluh. Urban Native is not a time machine, but a vehicle to find alternative exits that an album from 1973 would not have taken. 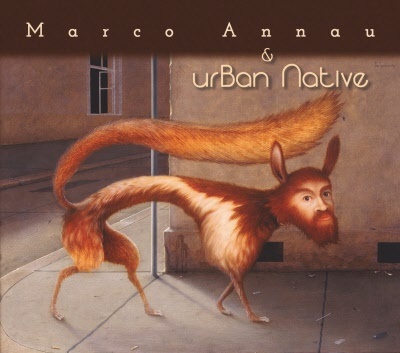 Since all six pieces oscillate between the two positions of the "urban instinct" and the "impulses of progressive Jazz and Pop", Annau speaks of a concept album. A travel diary from jingle world over oriental music into jazz with stunning results!